The beach! One of most peoples favorite places to go. We love to smell the sea breeze, watch the sunset over the water, and getting our toes covered in sand. Creating memories of a lifetime, of course we all want a little something to take home with us, right? Souvenirs can be hard to come by, especially along the waters edge. But, the ocean adds a way of understanding this and usually conveniently pushes treasures to us with no effort at all. 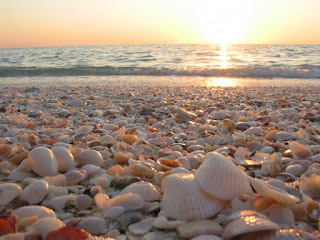 Yes, I’m talking about sea shells! We all have at least once gone to the beach, finding, and taking some shells as a memento of our trip. But do we really understand what sea shells really are? Sea shells are actually an exoskeleton. Which means creatures of the sea such as snails, oysters, muscles, and so many more are actually born with them, cause them to grow, use them as protection from dangers of the deep, and also a hiding place. To give you a more common creature to compare this to, think of a turtle and its shell. Turtles are born with their shells; it grows as they do, offer a safe place and protection, and remains with them through out their life. Now if you’re anything like me, you already had an idea that some of these shells once had something in them but not all of them, right? Well that’s actually false. A broad name for these shell baring creatures is a mollusk. What is considered a mollusk? Well, it’s extremely difficult to try to name them all because there are different classes and over 130,000 species to be included. This makes them the second largest group of animals in the world, outnumbered by only insects. With that being said, every one of the thousands of thousands of shells that wash up on the shore did indeed at one point have a mollusk of some sort inhabiting it. No other animal group in the world can compare to the form, texture, and patterns of these creatures either. Their kaleidoscope like colors and endless variety of size, shape, and uniqueness continues to amaze anyone to cross their path. This also explains why there will never be two shells the same. 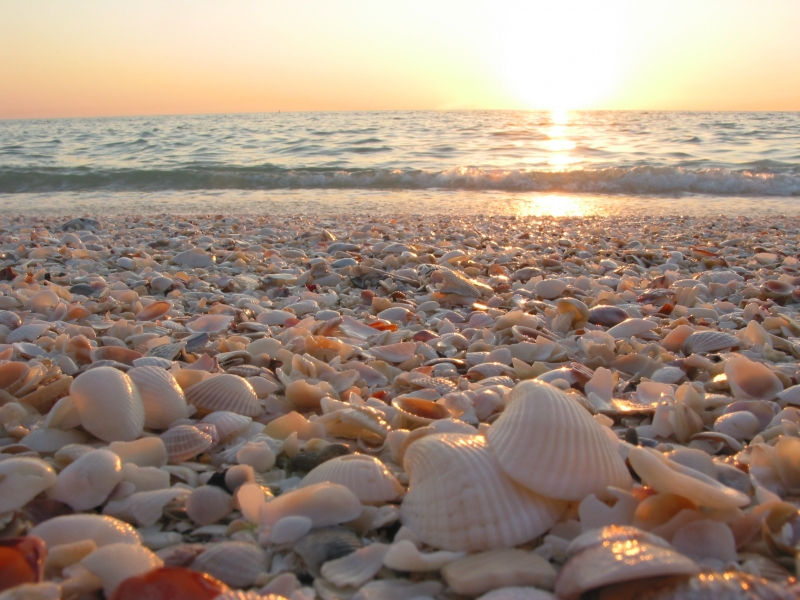 Shells can be used for many things in many different cultures, such as tools, jewelry, decoration, utensils, currency, and much more. Not only are they fascinating to look at but scientists have also discovered that sea shells can be used in medicine, buildings, and even roadways! Who would have thought that mollusks exoskeleton would be so helpful to all of those outside of the ocean? Now that you have discovered all of this I’m sure you want to plan a trip to the beach to see for yourself, right? Well let’s stop and think for a minute… At the beach you can get sun burnt, sand gets everywhere, and who knows if there will be more than a few shells wherever you go? I know, doesn’t sound as appealing as you wanted to hear, but I have good news for you! Here at Gold Rush we have made things easy, fun, and affordable! We have various Sea Tanks to purchase and pan through on sight, and we guarantee that you will find exotic shells, shark teeth, and so much more! We even have what we call a pearl dig kit that allows you to crack open an oyster YOURSELF and reveal the gorgeous pearl inside. For more information, questions, or concerns please contact us at 1(800) 363-8303 or visit our website at www.goldrushminingadventures.com. We look forward to diving into a good time with you and your family!